Day 1: CUSCO/KM 104 CHACHABAMBA-WIÑAY-WAYNA-MACHUPICCHU-AGUAS CALIENTES. 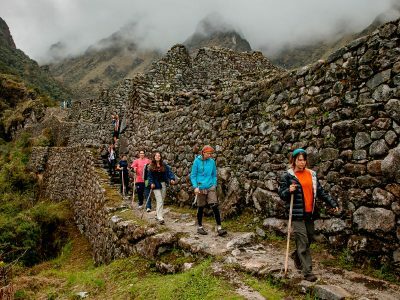 Very early in the morning, pick up from your hotels to transfer you to Ollantaytambo train station, to take the train to Km 104 to start the trek. At Km 104 after submitting passport control, we began to walk softly around meters Vilcanota River. Starting the way we will see the ruins of Chachabamba, a stone altar – site that was used to worship the sun and the mountains, still revered by local people. 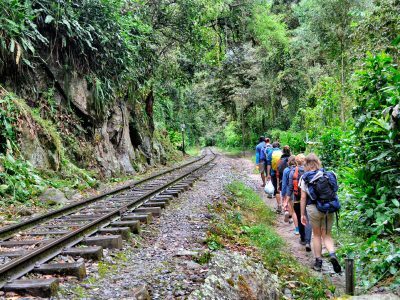 After visiting Chachabamba.continue the path south and started a gradual climb to the mountain, before entering a cloud forest, overgrown, then the trail leaves the forest and goes west while continuing uphill in an open meadow. After walking 3 hours, the road descends into a forest amazing. Here you will find a beautiful waterfall, then get to the bottom of the ruins of Winaywayna. 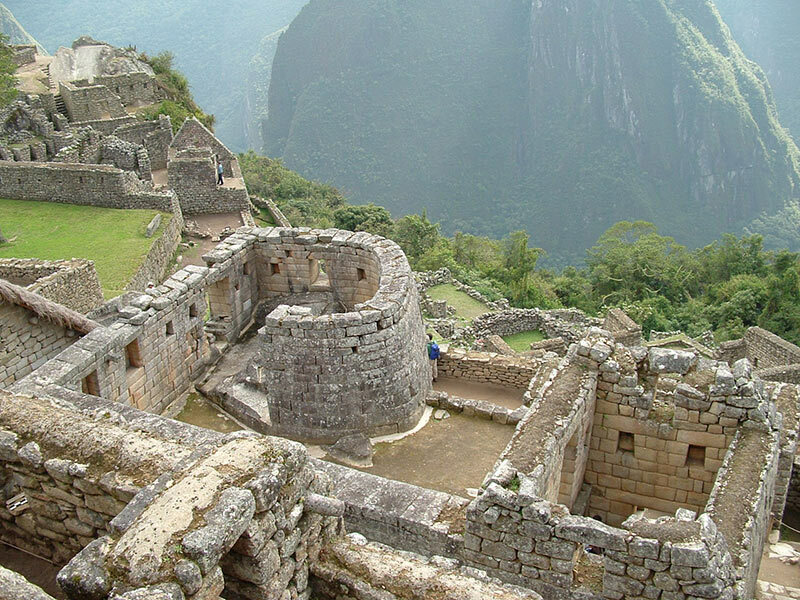 Appreciate the beauty of this place, supplemented with information from our expert guide. 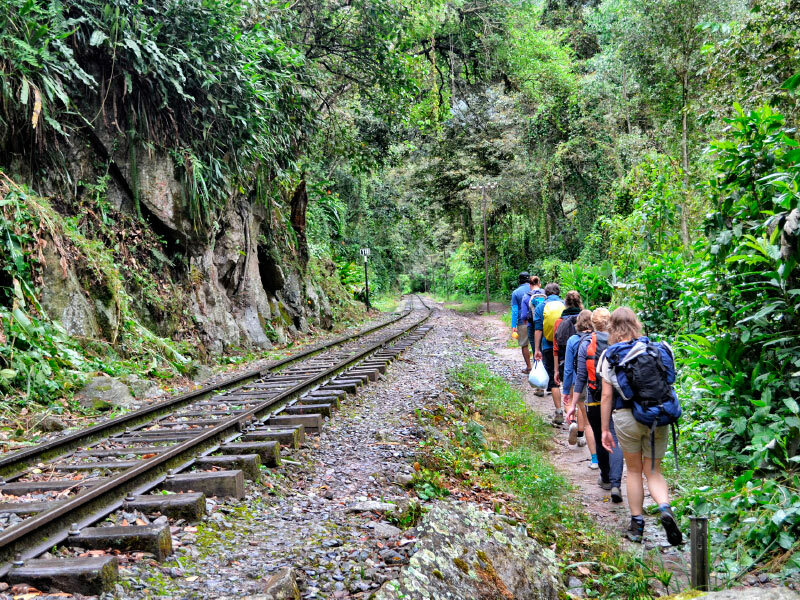 After boxlunch at Winaywayna, we will continue in the afternoon in the cloud forest, filled with bromelias, orchids and tree ferns. 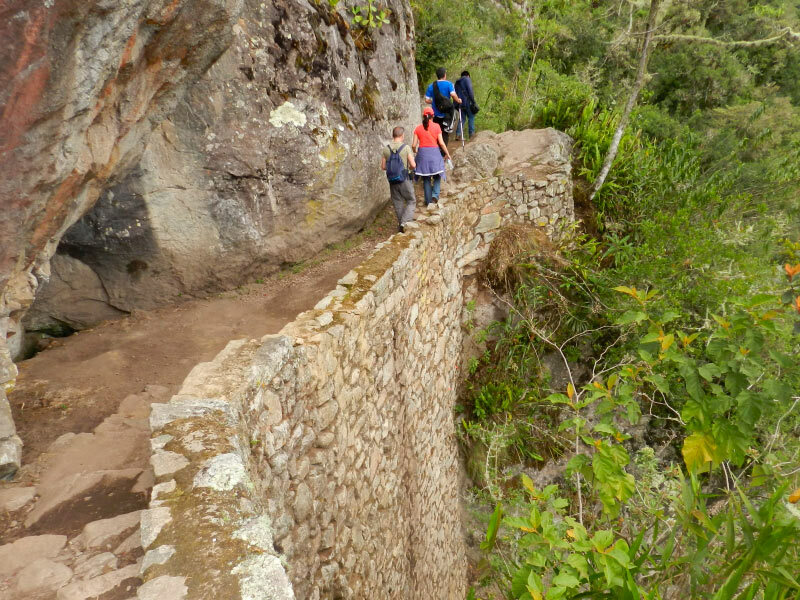 As we walk the last part of the way we pass many impressive features such as the stone stairs and drums. You climb 60 stairs before you reach Inti Punku (Sun Gate). From this point, you can see and observe this wonderful place. 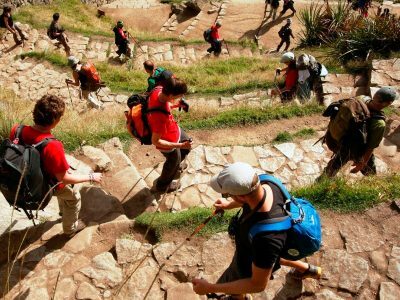 Then descend for 45 minutes to get to the viewpoint of the famous place .Descend to the entry of Machupicchu and continue walking to Aguas Calientes villages . Accommodation in the hostal (with private bathroom and hot water).Dinner included.Rest, plans and arrangements for tomorrow. The thermal baths are a good choice (entrances not includes: 15soles). Breakfast. Up to Machupicchu Sanctuary and guided tour for the enigmatic and mysterious city for about 2 hours, visiting the most amazing places as the Royal Mausoleum, the Temple of the three windows, the main temple, the Sacred Plaza, the famous Intihuatana where wise Inkas tied to the sun in the winter solstice in June, stairways, plazas, fountains, etc. Then, free time to explorer by yourself (Optional: Visit Waynapicchu mountain: USD$ 66.00 additional pro the entrances). 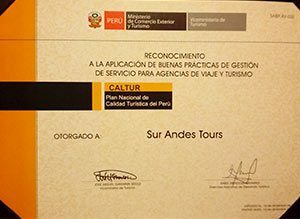 After finishing our masterful visit, we walk down to Aguas Calientes 1 hour and half , (option with bus down, you have to pay $ 12.00 pp . 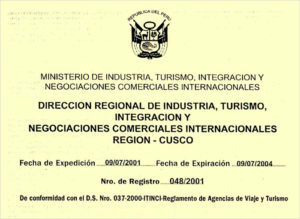 Round trip is USD$ 24.00 ). PM: Train back to Ollantaytambo, transfer to Cusco. Pre-departure briefing at your Hotel orOffice. Walk with a specialist guide. Accommodation in the hostal (Private room , hot water ). 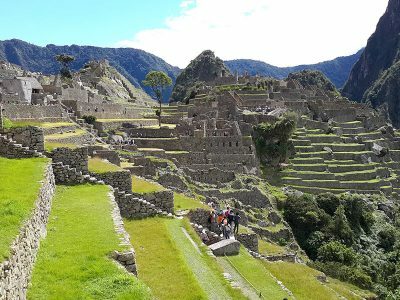 02 tickets Bus down Machupicchu to Aguas Calientes on 1st and 2nd Day: US$ 12.00 one way. 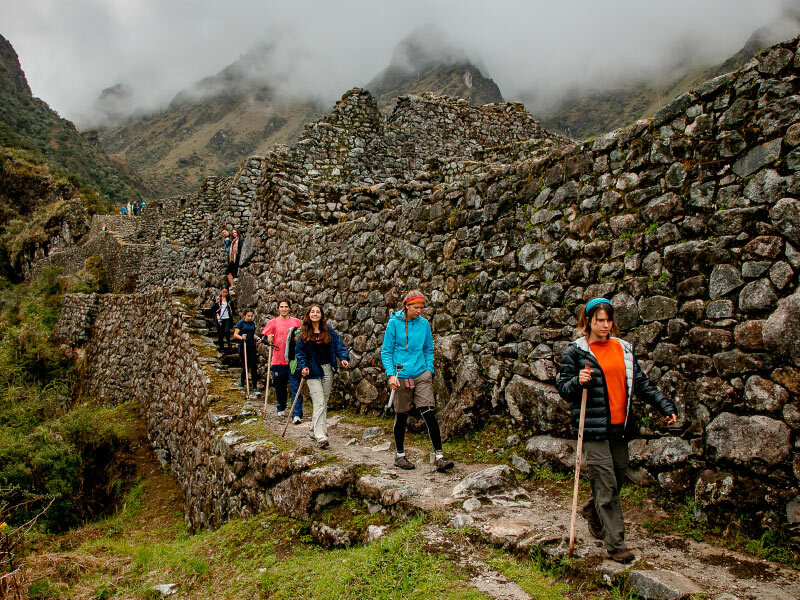 Entrance fee for Waynapicchu USD$ 66.00 (Optional). Your Original passport. (ISIC student card if you’ve booked as a student). Basic personal toiletries: Deodorant, toothpaste, toothbrush, small towel, Anti-bacterial wet wipes. Extra money in soles or dollars.